According to new research, nomadic horse culture — famously associated with Genghis Khan and his Mongol hordes — can trace its roots back more than 3,000 years in the eastern Eurasian Steppes, in the territory of modern Mongolia. The study, published online March 31 in Journal of Archaeological Science, produces scientific estimates of the age of horse bones found from archaeological sites belonging to a culture known as the Deer Stone-Khirigsuur Complex. 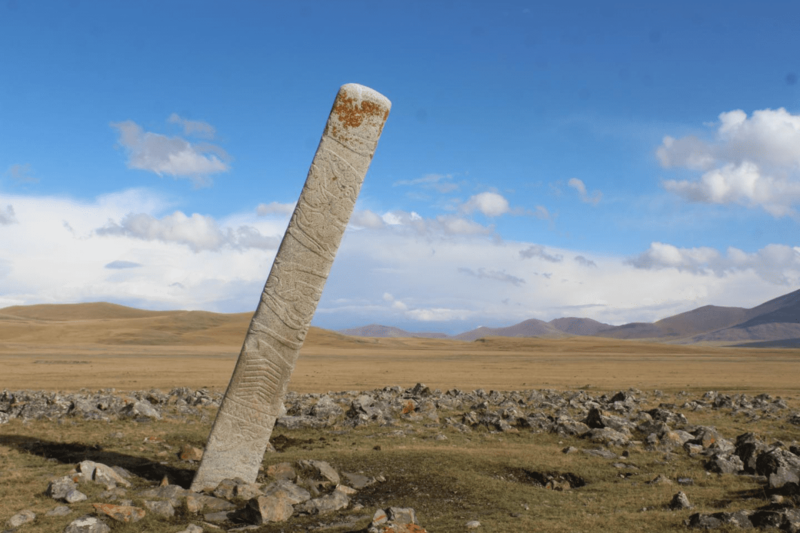 This culture, named for the beautiful carved standing stones (“deer stones”) and burial mounds (khirigsuurs) it built across the Mongolian Steppe (Figure 2), is linked with some of the oldest evidence for nomadic herding and domestic livestock use in eastern Eurasia. At both deer stones and khirigsuurs, stone mounds containing ritual burials of domestic horses – sometimes numbering the hundreds or thousands – are found buried around the edge of each monument (Figure 3). A team of researchers from several academic institutions – including the Max Planck Institute for the Science of Human History, Yale University, University of Chicago, the American Center for Mongolian Studies, and the National Museum of Mongolia – used a scientific dating technique known as radiocarbon dating to estimate the spread of domestic horse ritual at deer stones and khirigsuurs. When an organism dies, an unstable radioactive molecule present in living tissues, known as radiocarbon, begins to decay at a known rate. By measuring the remaining concentration of radiocarbon in organic materials, such as horse bone, archaeologists can estimate how many years ago an animal took its final step. Many previous archaeological projects in Mongolia produced radiocarbon date estimates from horse remains found at these Bronze Age archaeological sites. However, because each of these measurements must be calibrated to account for natural variation in the environment over time, individual dates have large amounts of error and uncertainty, making them difficult to aggregate or interpret in groups. According to the study, domestic horse ritual spread rapidly across the Mongol Steppe at around 1200 BC – several hundred years before mounted horsemen are clearly documented historical records. When considered alongside other evidence for horse transport in the Deer Stone-Khirigsuur Complex these results suggest that Mongolia was an epicenter for early horse culture – and probably early mounted horseback riding. The study has important consequences for our understanding of human responses to climate change. For example, one particularly influential hypothesis argues that horse riding and nomadic herding societies developed during the late second millennium BCE, as a response to drought and a worsening climate. Taylor and colleagues’ results indicate instead that early horsemanship took place during a wetter, more productive climate period – which may have given herders more room to experiment with horse breeding and transport. In recent years, scholars have become increasingly aware of the role played by Inner Asian nomads in early waves of globalization. A key article published this month in Nature argues that nomadic movement patterns shaped the early trans-Eurasian trade networks that would eventually move goods, people, and information across the continent. 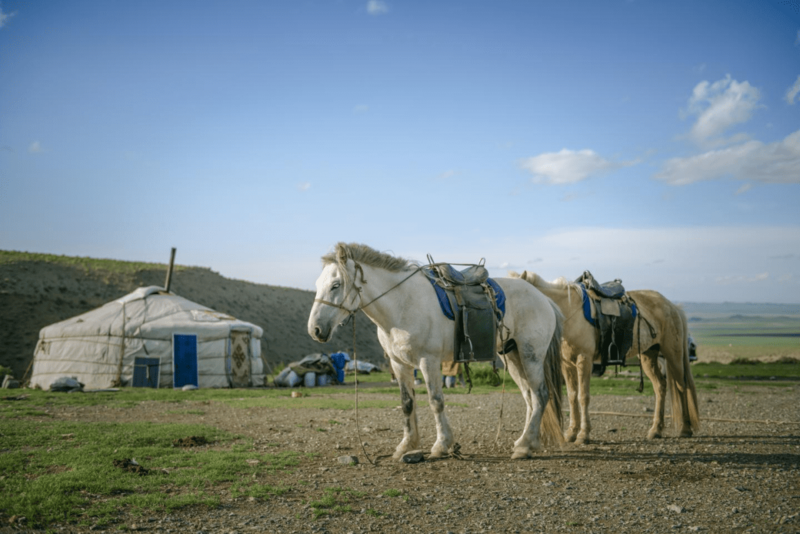 The development of horsemanship by Mongolian cultures might have been one of the most influential changes in Eurasian prehistory – laying the groundwork for the economic and ecological exchange networks that defined the Old World for centuries to come.